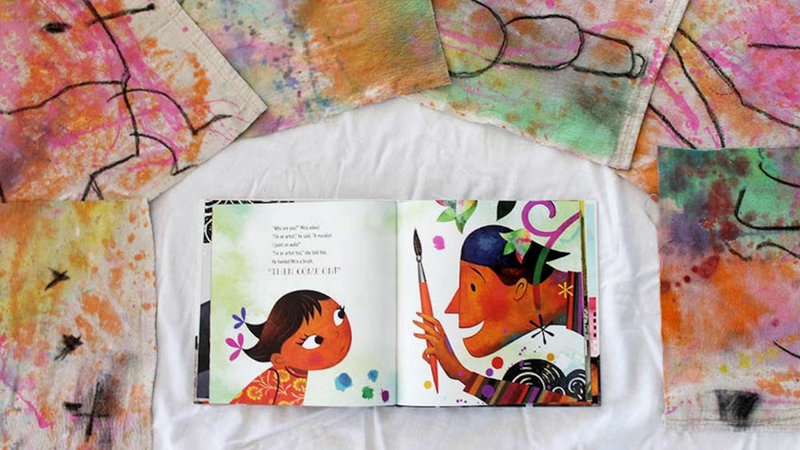 This week we’re celebrating MAYBE SOMETHING BEAUTIFUL, a picture book from authors F. Isabel Campoy and Theresa Howell, with illustrator Rafael López. In the story a young girl’s ambition and curiosity inspire a neighborhood to transform and revitalize their community through art. 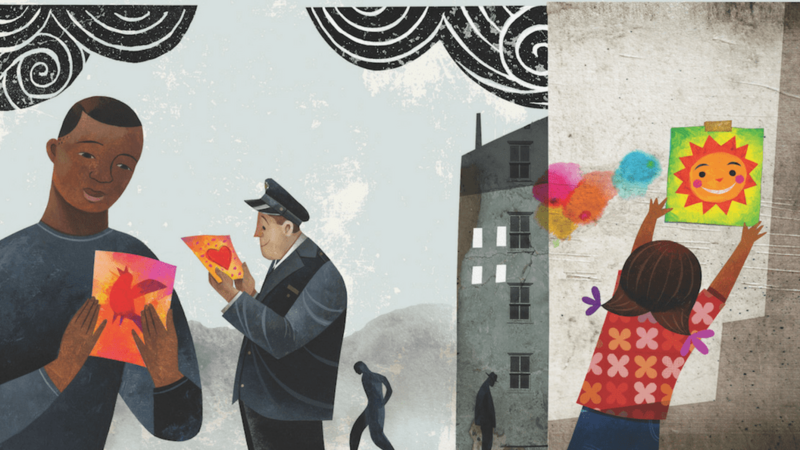 Rafael López is the illustrator of MAYBE SOMETHING BEAUTIFUL. Listen to his chat with Nick Patton on the Picturebooking podcast to hear the true events that inspired the story. CLICK HERE to listen. Take a peek inside MAYBE SOMETHING BEAUTIFUL and explore the impact one person can have on a community. CLICK HERE to have a look. In his own words, Rafael López shares how he first began creating community murals. CLICK HERE to learn more. 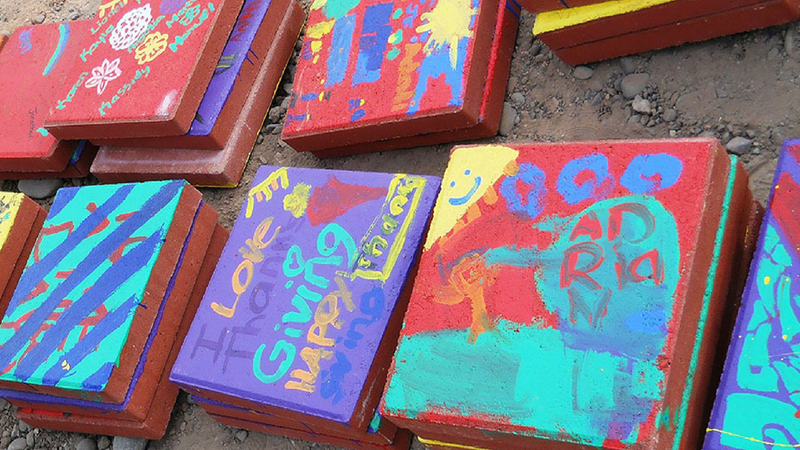 Want to make something beautiful for your neighborhood? Now you can! CLICK HERE for instructions. Read our list of ideas on how you and your child can give back to your community and bring joy to a your neighborhood. CLICK HERE to explore. 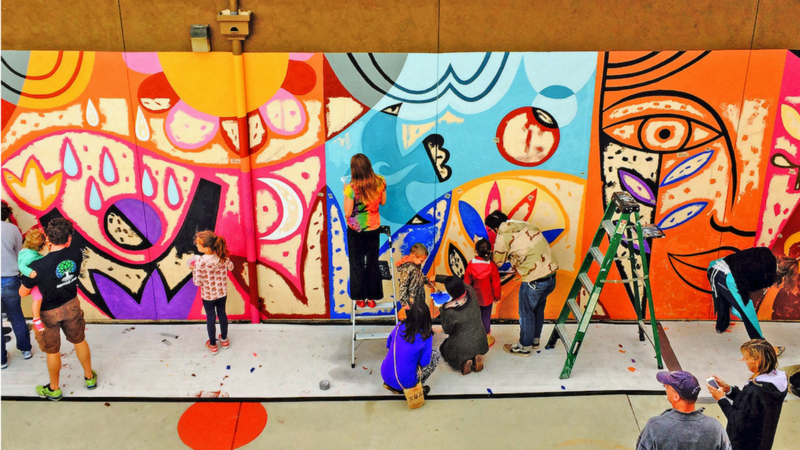 Mira lives in a gray urban community until a muralist arrives and, along with his paints and brushes, brings color, joy, and hope to the neighborhood. 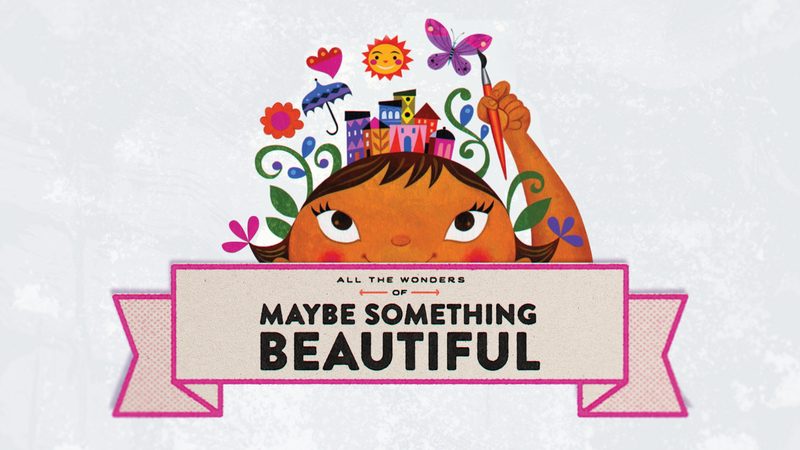 Enjoy the MAYBE SOMETHING BEAUTIFUL book trailer by clicking on the image! 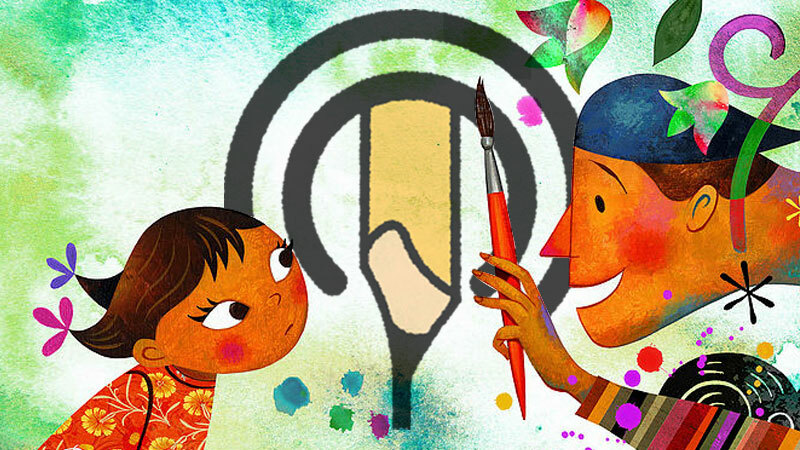 Rafael López’s mural project celebrates diversity, fosters greater library awareness, and provides us with a unique piece of art to be enjoyed for years to come. CLICK HERE to see how the murals in MAYBE SOMETHING BEAUTIFUL came to life. This was such a lovely and inspirational book. The illustrations were amazing!